Kalo Spray is ideal for use on large areas like legs, back, chest etc. Kalo 4 oz. aqueous spray is the most economical way to buy Kalo. It is easy to apply, effective and soothing. Kalo is applied right after the hair has been epilated. Kalo should be applied 3 times the day of the hair removal and 3 times the next day. 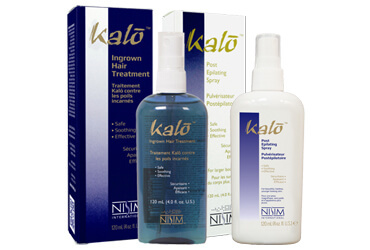 Using Kalo spray about 10% less hair will grow back after each session. Stop Hair Growth with Kalo Post Epilating Spray.